It's the right time of year to be clearing out the junk from your garage or the spare room. Giving the garden a huge tidy and preparing for the summer. You'll produce a lot of waste and naturally you'll think of hiring a skip to deal with it all. But what are you allowed to put in it? 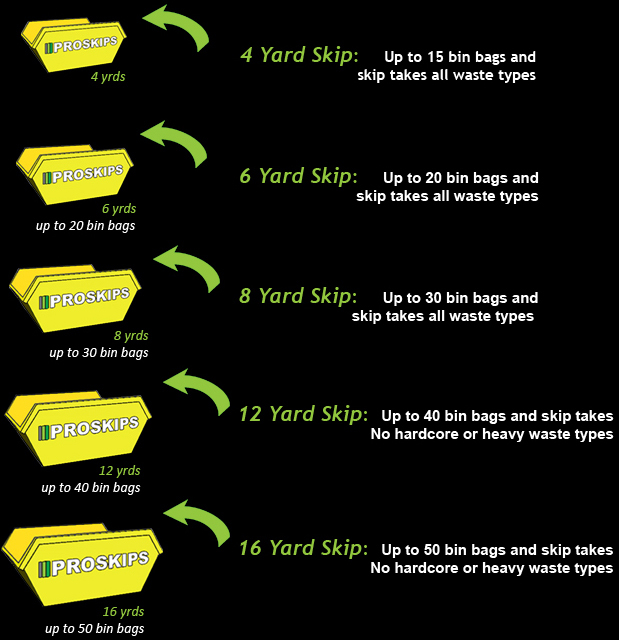 Here are some tips from Proskips - a skip hire company covering the whole of UK. The vast majority of your garden waste can be put into the skip. At lot of common household rubbish that you would normally put in your bin can also be disposed of in it. The only issue is if it will risk anyone's health and safety. If you think it will then you should seek an alternative way to get rid of it. There are clear regulations for the disposal of waste, from the Environment Agency. You can put general household waste, normal garden waste, grass cuttings and removed soil, kitchen fittings, bathroom fittings, wood, paper, plastics and bricks into a skip. You cannot put anything hazardous into a skip, this is prohibited. If you are clearing out the house, you should not put the TV or a computer screen in the skip. These must be disposed of separately. You should not put asbestos, tyres, fluorescent lighting tubes, paint tins, batteries, gas cylinders, solvents, petrol, oil, diesel, refrigerators, freezers, plasterboard, medical waste or any liquids. All hazardous materials can be safely disposed in other fashions, if you need advice you can contact your local authority. You will find the details of your local authority online. If you hire a skip, you should consider where it be housed. You may need to obtain a skip licence to have it on a public road. You should check with your local council. Most of the time the skip hire company will be responsible for obtaining a licence or a permit, but you should check if you need to do it yourself. If you have hired a hippobag, skip bag or just a normal skip, you will need a licence. The skip cannot be out onto the pavement. However, if you put the skip on private land, you will not need to obtain a licence. If it's on the road, you may be required to put lights and markings around the skip to warn the public. This could be cones, night-lamps and contact details for the company. When you've ripped out your kitchen and filled the skip, the hire company will take it away. With the cost of landfill, most companies will try and recycle your waste. They might have their own centre or they might use someone else's. Either way they should tell you what they do with your waste. The cost of your skip will be based on its weight and not how full you have loaded the skip. If you are getting rid of bricks and soil, it will cost you more than if you are trying to get rid of paper and cardboard. The fees are entirely based on the weight of your skip, you should consider this when loading your skip.